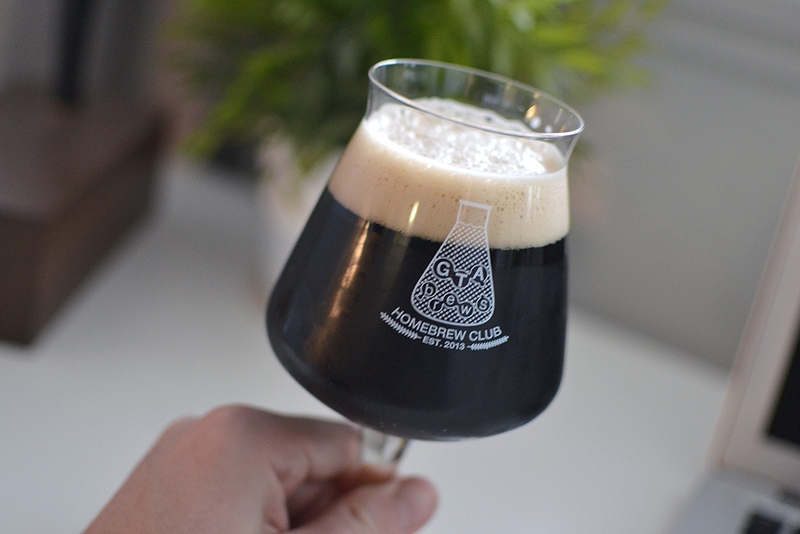 Silly Sir Brewing Co.Breath of the Kveik - A [Gold+Silver Winning] Black IPA Recipe - Silly Sir Brewing Co.
Kveik Yeast 101 - But WTF is it Already!? 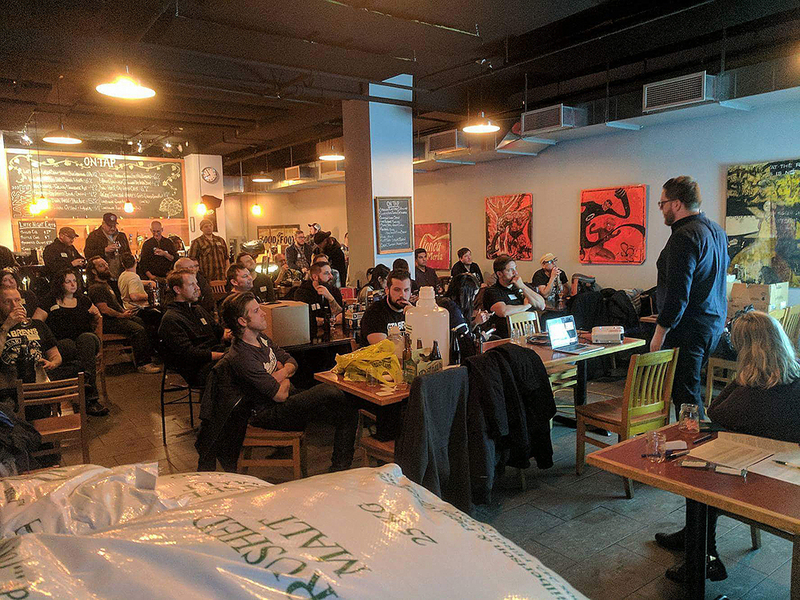 Richard Preiss of Escarpment Labs gave a presentation on Kveik beer at our Homebrew Club Meeting this past March. Prior to this I'd never even really heard of it. Briefly, kviek is a Norwegian translation of the word yeast, and "...refers to yeast that has been reused for generations in traditional Norwegian farmhouse brewing." His company, Escarpment Labs, has been culturing, experimenting with, and researching the different flavours, fermentation temperatures, and attenuative abilities of various Kveik cultures collected from several regions across Norway. Preiss emphasized that kveik doesn't really refer to any single strain of yeast, but rather is a medley of several genetically different microbes (the bulk of which are presumably the evolved descendants of a common saccharomyces cerevisiae ancestor). One of the most surprising things about kveik cultures is that you can ferment with it at very high temperatures. Whereas lager yeast is happy around at around 45-55F, and ale yeast is happy around 65-75F, kveik strains have evolved to ferment at an impressive range of 68-98F without producing the off-flavours typically associated with high temperature fermentation (i.e. solvent-like or hot fusel alcohols). They also have a very short lag time finish fermentation really quickly. Escarpment's lab results found that many strains reached their Final Gravity in just 72 hours. Woke up to this less than 18 hours in. Krausen was overflowing from my plastic pitcher into my salad bowl. Caught it just in time. So yeah, ensure adequate headspace. If there's one thing I enjoy more than beer, it's Zelda. On Friday, March 3rd, 2017 the series' latest entry The Legend of Zelda: Breath of the Wild was released alongside Nintendo's latest console the Switch. Because I purchased the system on Amazon, I didn't receive my goods until Monday the 6th which was sadly the start of a work week. But I'm a teacher, and the following week was March break. The following week was the happiest/most indulgent of my life. With Breath of the Wild loaded up, my black IPA was finally ready for boozin'. I spent a sad amount of time glued to my television, collecting Korok seeds, completing shrines, and drinking a my tasty IPA. It was glorious. Then, the most terrible thing happened: Sara's brother Adrian came over for a visit. He wanted to play Breath of the Wild, and hijacked the game for several hours. The audacity. I lamented, but in my lamentation coped by taking the time to name my beer. 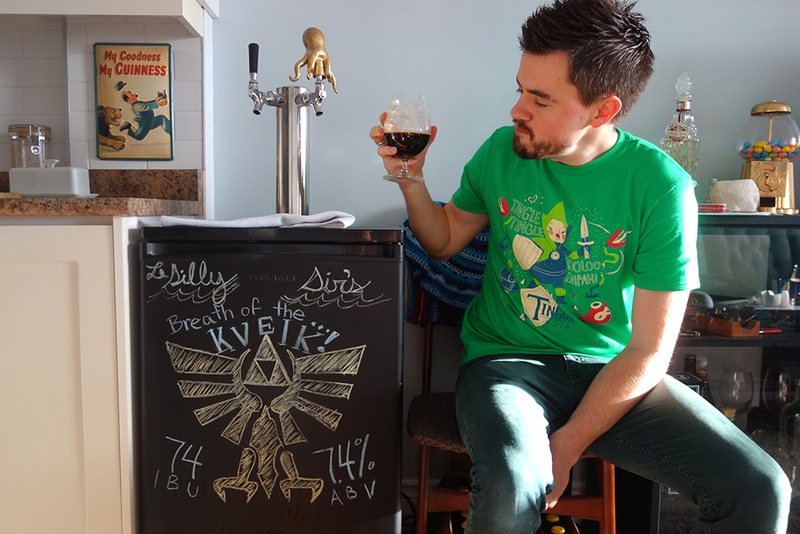 I settled on the embarrassingly obvious Breath of the Kveik Black IPA, and quickly scribbled a graphic on my kegerator. Overall, I'm quite happy with how the beer turned out. It has bright, citrusy American and New World hop flavours, with a very slight roastiness with restrained chocolate notes. 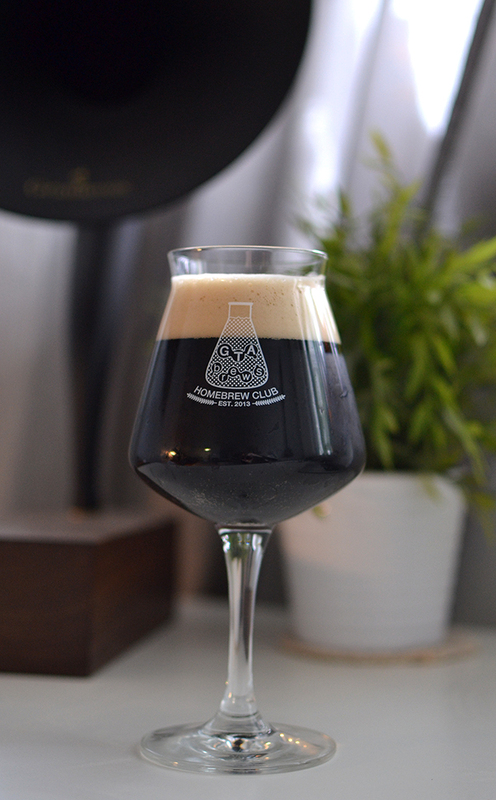 I found the kviek yeast I used (hornindal) brought out a rum-like characteristic that complimented these subtle dark-malt flavours quite nicely (though admittedly my knowledge of the documented flavour profile of this particular strain may have biased my perception). Gotta recirculate to filter husks from making it into the boil. 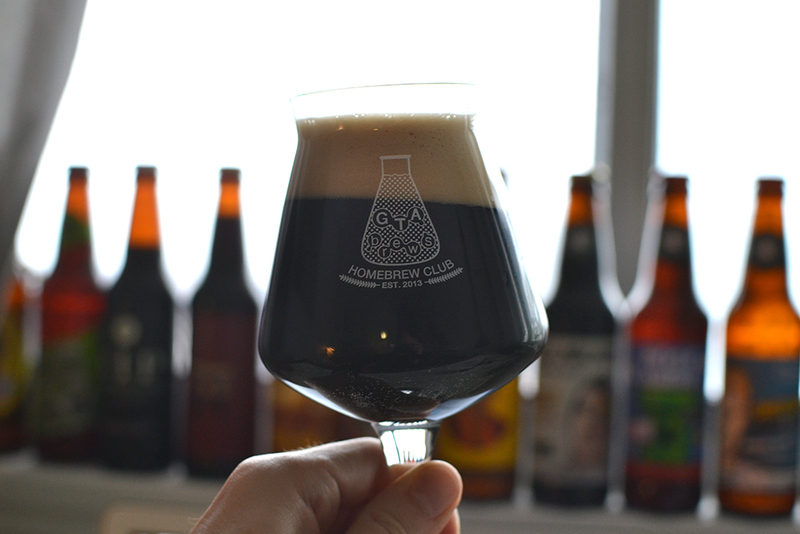 For this particular recipe, I basically just threw together various ingredients I had on hand that I thought sounded fit for a black IPA. I mashed at 152F since kviek yeasts typically show high attenuation and I didn't want it too dry. Please forgive the specificity, and adapt to suit your style. *Note: Don't forget Campden, fool! Note: I love using Apollo as a bittering hop in IPAs due to its high AA and low co-humulone levels (23-28%) but Magnum would work nicely too (also 23-28%). Galena has a relatively high co-humulone content (34-39%) and so I would avoid using it in future batches as co-humulone is said to impart a harsh bitterness (I just wanted to use up what hops I had left and I figured 9 IBU worth wouldn't matter too much). After the boil, I chilled to 75F and pitched ~200 billion cells worth of Escarpment Lab's Kveik Hornindal culture (Batch no. 17035) and maintained that temperature best I could with my silly temperature controller (a window). 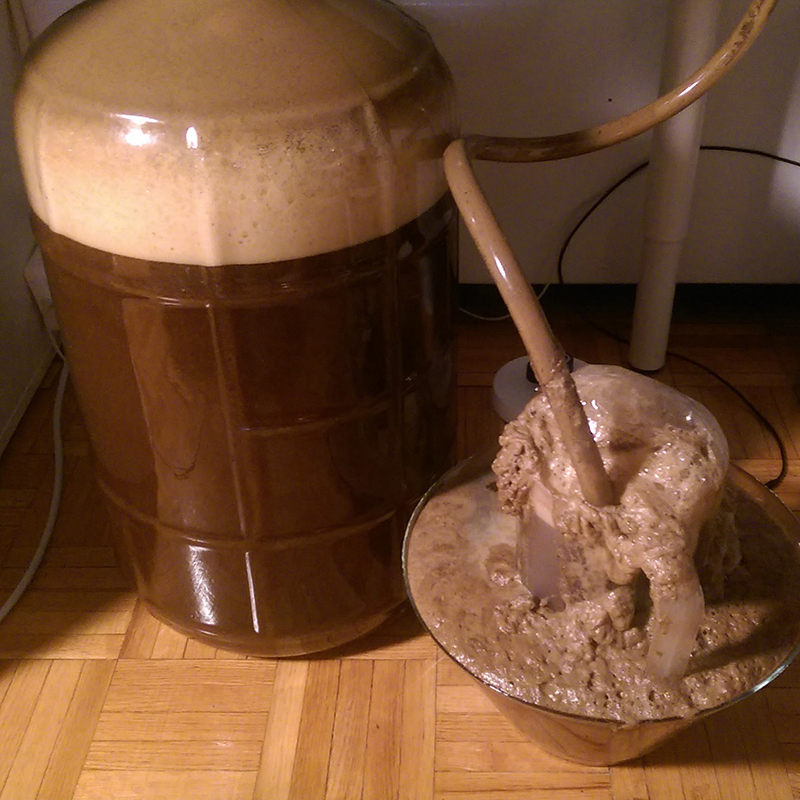 I estimate it spent 90% of it's first few days fermenting between 75F and 80F. Overall, I'm really happy with how the beer turned out. While I do indeed pick up rum-like characteristics that compliment the malts very nicely though I'm unsure whether that's a just a result of the power of suggestion regarding the alleged characteristics of the strain of kveik yeast I used to ferment it. Since the style of this beer is a black IPA, it's harder to pick up the subtleties of the strain as they're overshadowed by the hops. In future batches, I'll try the kveik strains in cleaner beers to give the yeast the limelight rather than the hops. I'm really intrigued by the behaviour of this yeast, and anticipate that its use will bloom within the industry in the coming months. I'll upload the BJCP tasting notes when I finally receive them in the mail. 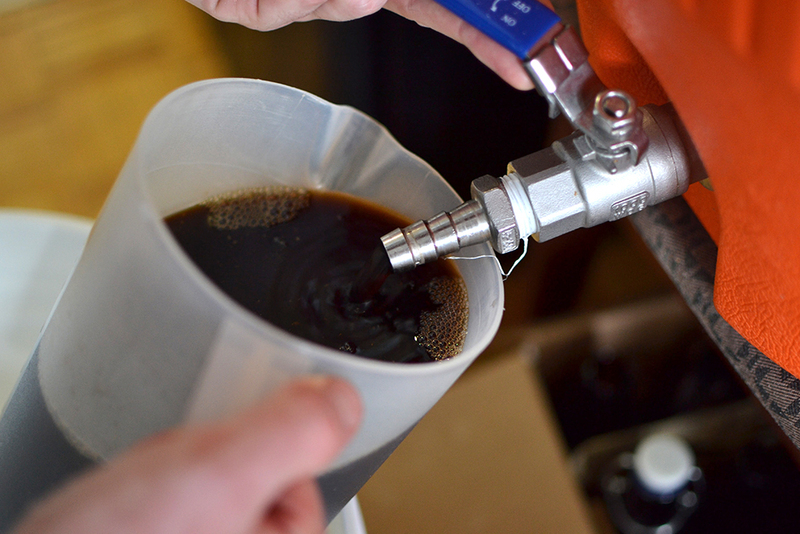 In the meantime I ask: have you tried brewing with a kveik culture? If so, what were your results?